Independent TD Catherine Murphy attempts to raise concerns about the involvement of KPMG in the review of the Siteserv deal. Enter Ceann Comhairle Seán Barrett. 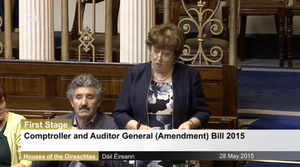 Catherine Murphy: “There is a motion on the Order Paper, No. 197, to which there are 45 signatories. Unusually, it has been signed by almost the entire Opposition. 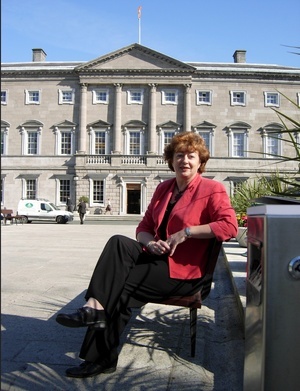 I am calling on the Taoiseach to consider allocating time for a debate on it. 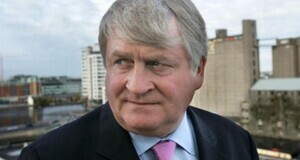 It concerns the review by KPMG of Siteserv and other issues. It was pointed out when we were debating the matter that there were conflicts or, at least, perceived conflicts with the individual who was to carry out the review. 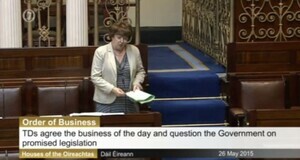 Posted in Misc and tagged Catherine Murphy, Dail, Denis O'Brien, Order of Business, Siteserv at 10:52 am on May 27, 2015 by Broadsheet. resume your seat? Is that even proper lingo? Brave woman. She should get the support of everybody, not just keyboard warriors like me. 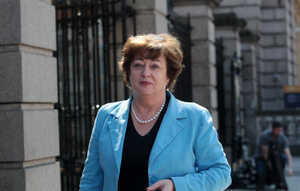 The points she raise should not be dampened through internal bureaucracy of the Dail. It is serious, it is of national interest, it has the potential of landing people in jail if followed through. Isn’t Murphy the whip of her group? I wonder if Seán Barrett ties himself up to the leg of his desk – so much hot air, he should be floating under the ceiling. I sometimes worry he’d pop and splatter all over beautiful velour seats and lovely outfits of the deputies. The Clown Comhairle strikes again. with fire, who is in charge, and Bluffer Barrett wont put out the balze. Martin Heydon gets right in there with the talking points, trying to make the gay marriage into part of his narrative about Fine Gael are improving everything. I wonder if these are handed out in memos before hand or do less TD’s think that sucking up to Enda will get them a promotion and TD pension before they get booted out.